Dr. Edward Howes graduated the medical school of Columbia University College of Physicians & Surgeons and did his internship at the Yale-New Haven Hospital. He completed his residency program at the New York Presbyterian Hospital and is now specialized in pathology and also board certified in anatomic & clinical pathology. 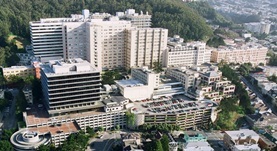 Dr. Howes has been in practice for more than 20 years and is affiliated with the UCSF Medical Center. During his career, he has published three writings of medical interest in collaboration with other doctors. Dr. Edward Howes has contributed to 3 publications. The pseudopapilledema of neonatal-onset multisystem inflammatory disease. Hollander, D.A., Hoyt, W.F., Howes, E.L., Fredrick, D.R. ; Am J Ophthalmol. 2004 Nov. Systemic non-Hodgkin's lymphoma with optic nerve infiltration in a patient with AIDS. Lee, L.C., Howes, E.L., Bhisitkul, R.B. ; Retina. 2002 Feb.
Neglected malignant medulloepithelioma of the eye. Jumper, M.J., Char, D.H., Howes, E.L., Bitner, D.G. ; Orbit. 1999 Mar.